You might be the leader of a business, charity, church, school, club, or a family. I’m convinced that if I were to look at each of the roles I serve in through a leadership lens, I would be more effective. For example, it is common for me to share, “I’m the father of three children.” What if I said (and acted upon) the statement, “I’m leading three children.”? It moves the statement from passive to active. You see, saying “I’m a father” only shares a historical fact. Stating “I’m leading” shares the need for ongoing attention and action! Equipping them to become productive citizens! Who and what are you leading? 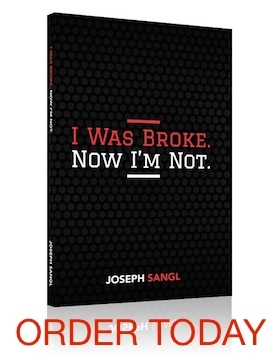 NOTE: This post was written as part of the “Leadership” series here at the wildly popular JosephSangl.com! Click HERE to access all previous tips in this series.